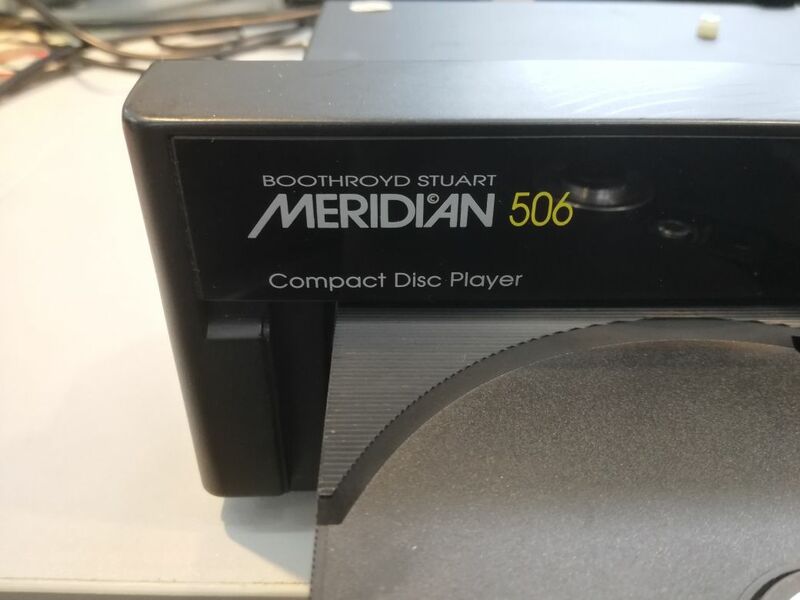 This report is about a really high-end (made in UK) compact disc player – a Meridian 506. 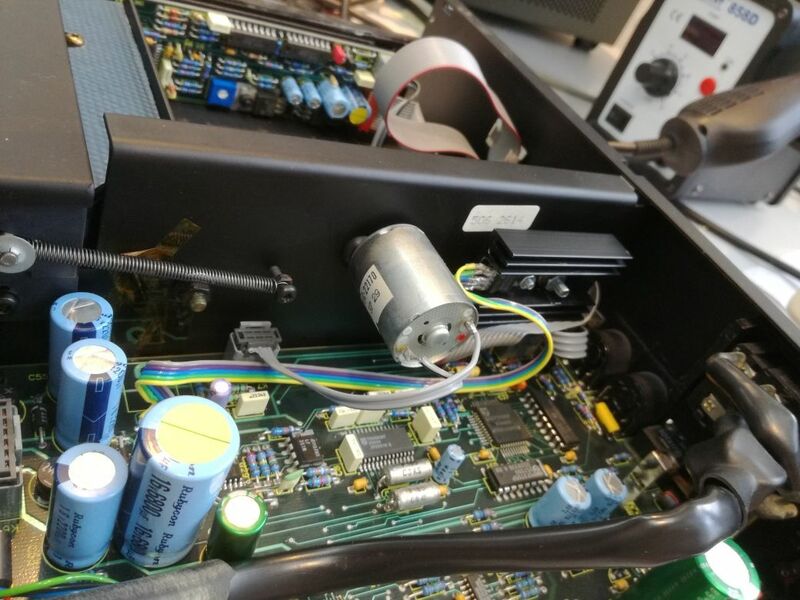 It had some issues with the drive circuit, with the TDA2030 running hot, and sometimes not reacting to the front panel control. 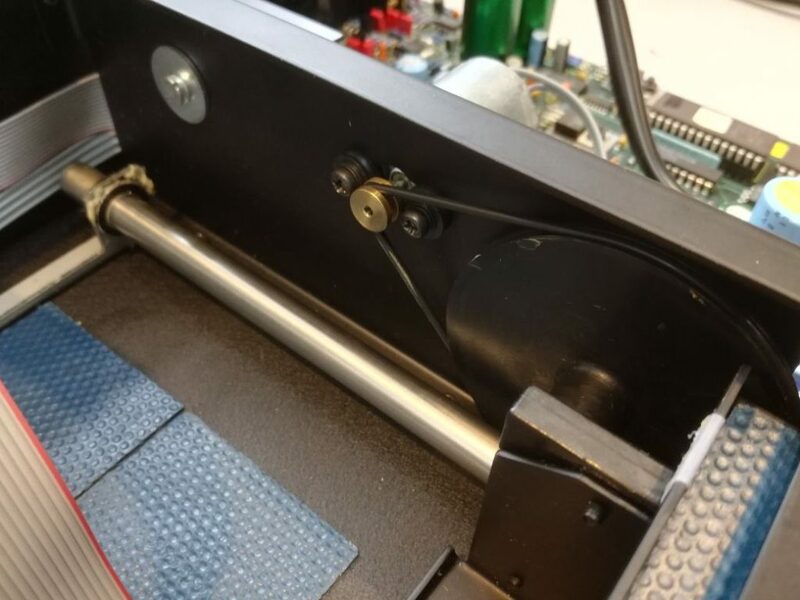 The drive mechanics, it is a quite simple setup – a DC motor with pulley arrangement, and rubber ring. 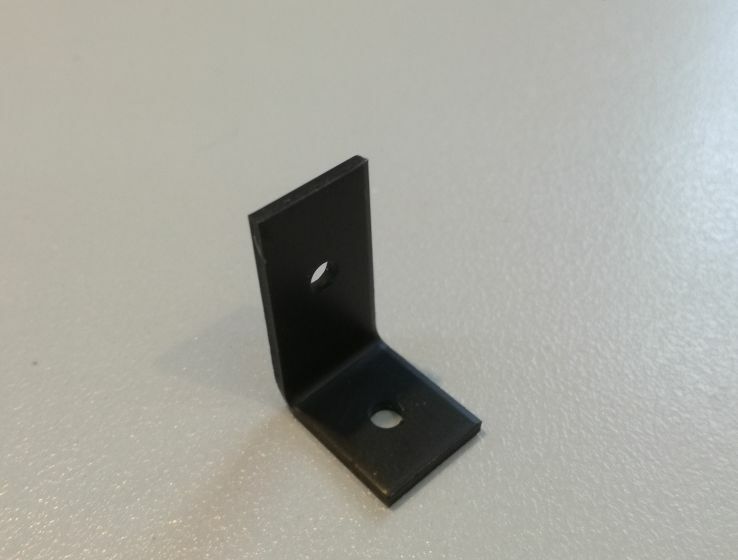 The cooling plate – just a small piece of metal. 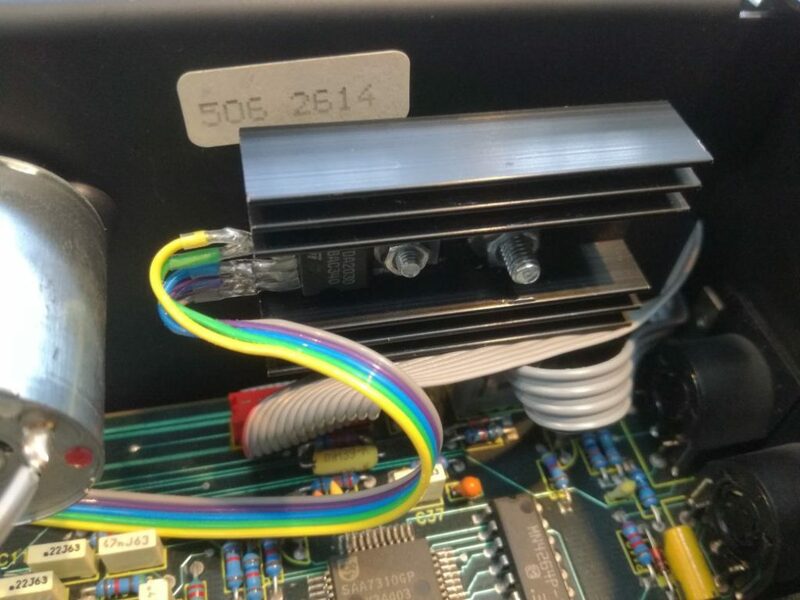 Running all good when when the CD compartment is opened and closed quickly, but there will be issues if for some reason the CD deck is not closing quickly – motor switch-off is controlled by the end switches. The main driver is TDA2030, and an additional issue is the closeness of the heatsink to the metal case. 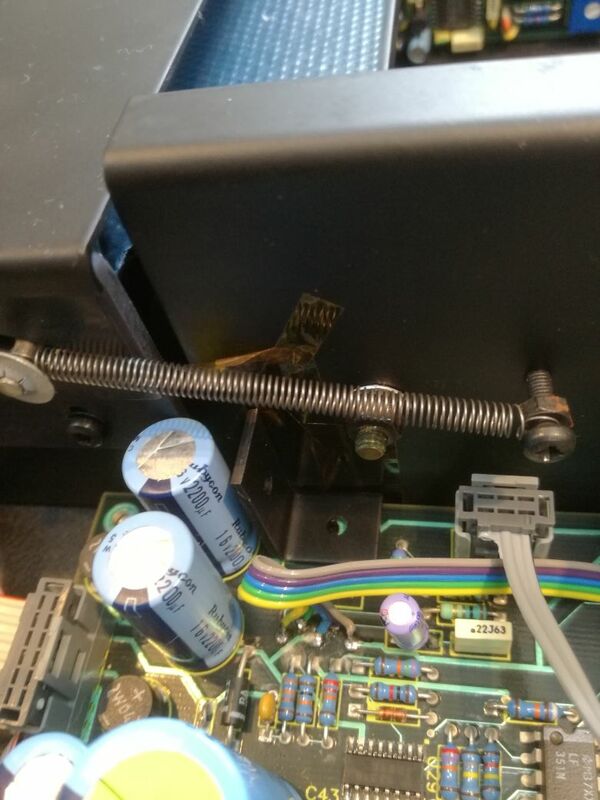 Just some Kapton tape, which had some damage already. Maybe making contact at times (tab is connected to Pin 3, VS-). Added a big heatsink the TDA2030, which is now also well-insulated from the case. 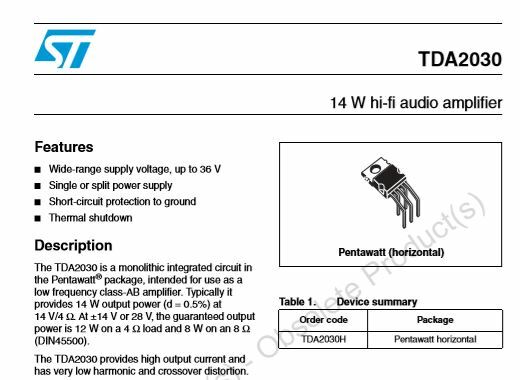 The TDA2030 – it’s not a motor driver, but an audio amplifier by design. But essentially, it is a high power opamp, so it can be handy to control motors, coils, etc. I also made use of the opportunity, please see the zip file. 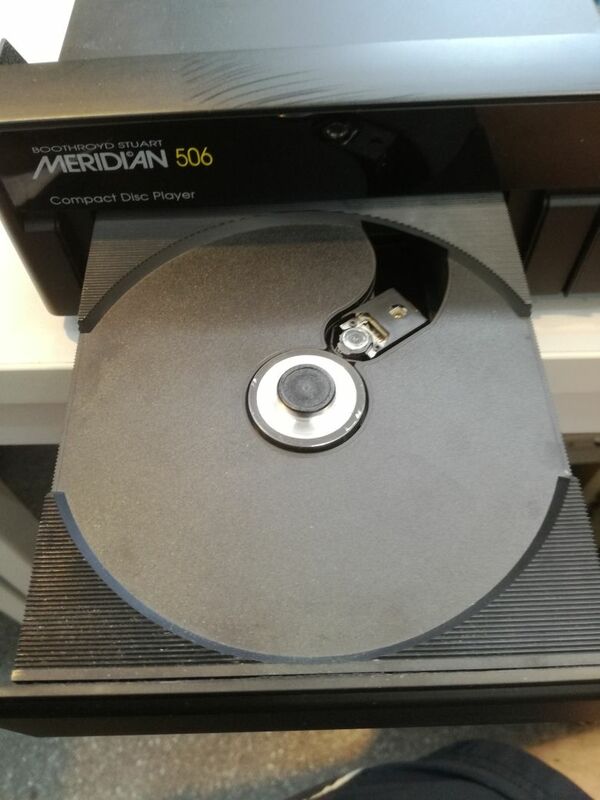 You can also find a collection of Meridian schematics in the manuals’ archive: Meridian Schematics, please request the password by email if you need access. Hello Simon, When you said to ask for access to the Meridian schematics page, I assume you meant to ask here, as I can not see any other way to email you. I have a 506 CD and a 551 Amp, and am just getting a 555 to Bi-Amp.